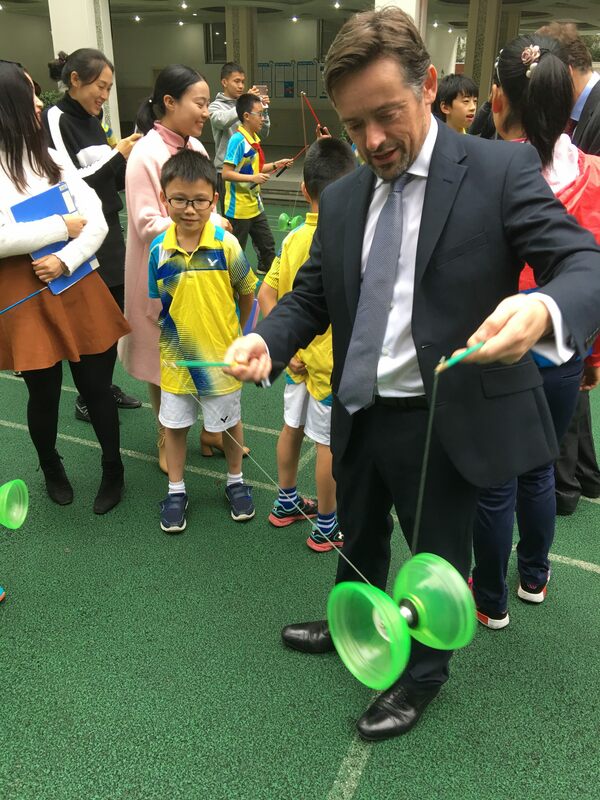 It was an honour and a privilege to visit schools in Chengdu and to meet staff and pupils. I was booked to speak to teachers from many schools across the city on ‘hidden learning’ – how we identify, track and report on the character traits and attitudes that lie behind the grades – how we raise academic outcomes when we teach for creativity, curiosity and character. I was, I confess, ready to see sedentary pupils in very large classes listening to the teacher and learning by rote. How wrong I could have been. Fangcao is a vibrant, happy place, buzzing with creativity and optimism. The teachers whom I had the pleasure of meeting and talking to, were entirely switched on to the children’s creativity and passionate about tailoring their teaching to meet the needs of every individual in their class. Bespoke teaching rules here. The children were a joy to behold, filled with intrinsic motivation and an enthusiasm for learning. The teachers were equally excited about learning. My keynote speech was well received, not because I was introducing some new and revelatory message, but because I was affirming what they were already doing – and doing so well: celebrating and nurturing their children’s creativity. Viewing the ‘whole child’ is what makes Fangcao such an exciting place of learning and I take back with me many ideas, tips and techniques for our UK classrooms.